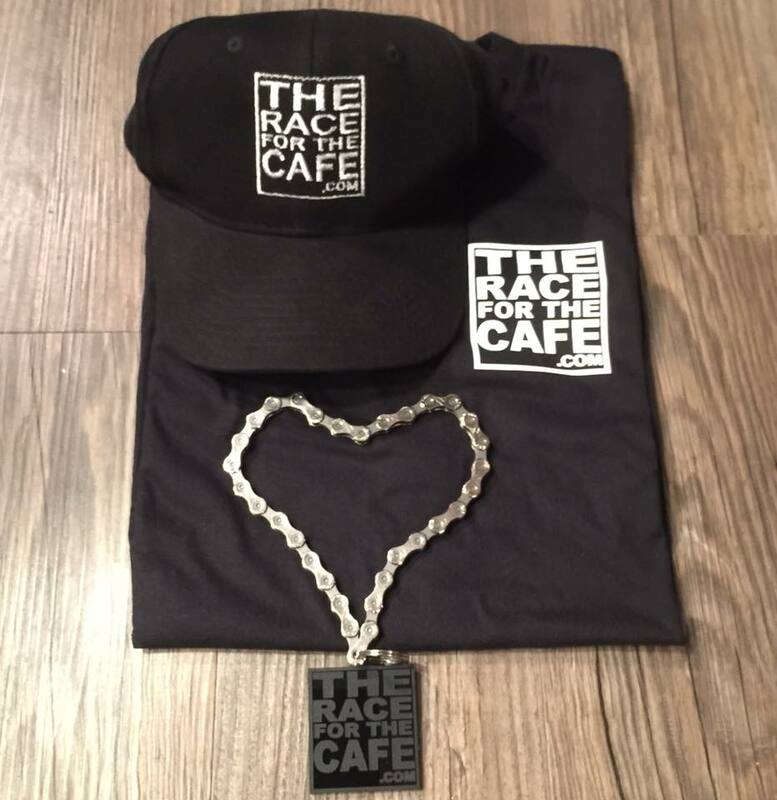 The cyclocross scene in the north east - winning isn't everything | theraceforthecafe.com . Next month sees the culmination of the UK cyclo-cross season the HSBC UK National Cyclocross Championships to be held over the weekend of 13/14th of January Hetton Nationals. 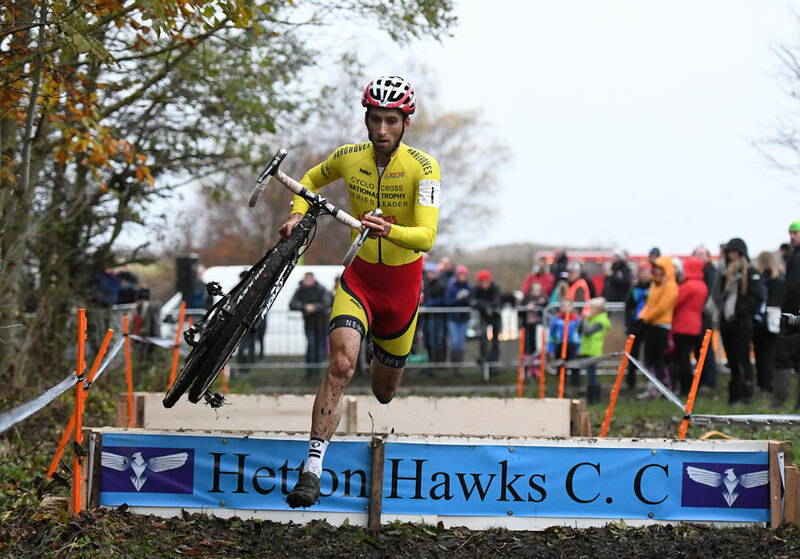 The championships are at Hetton Lyons Country Park in the north east and promoted by Hetton Hawks Cycling Club I have been wanting to do a post on the CX scene in the north east for a while so I thought I would do it now before the big event in January. The well established Cyclocross North East (CXNE) series, backed by British Cycling, is the high profile side of cross in the North East. CXNE has it's origins in the North East Cyclo Cross Association which was established in the 1950's. 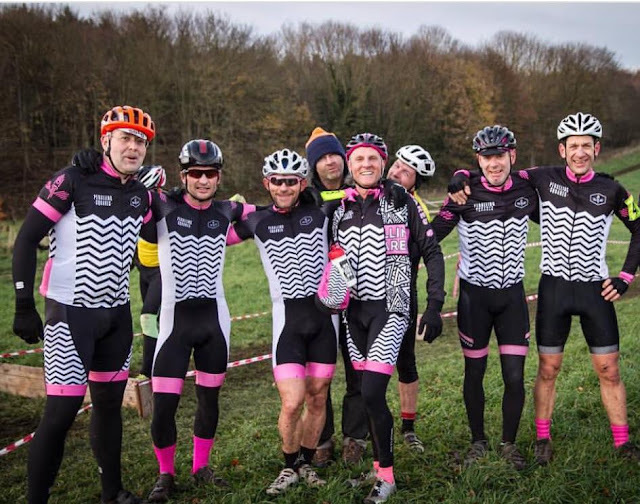 More recently the energetic team at CXNE have undertaken a re-branding exercise and introduced chip timing technology to bring the sport right up to date. 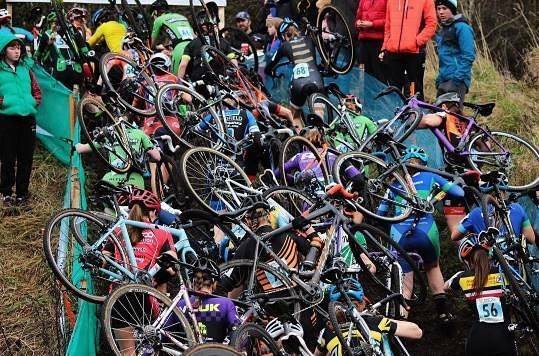 CXNE take their resonsibility as organisers very seriously and insist on high standards of behaviour to ensure that their Sunday cyclo-cross races are safe enjoyable and that the racing takes place in a positive environment. Each event is organised by volunteers and designed to test riders technical, physical, tactical and social skills and winning is not regarded as the main priority. An alternative to the CXNE events are the races run on a Saturday by NECCL (North East Cyclo-cross League) who are affliated with TLI Cycling TLIcycling- see my previous blog here on age group racing Age Is Just a Letter. These races are run on a much smaller budget and offer an alternative, slightly more low key but equally well organised race series. The NECCL races are popular because of the sheer simplicty of the events which are raced on a wide variety of courses. 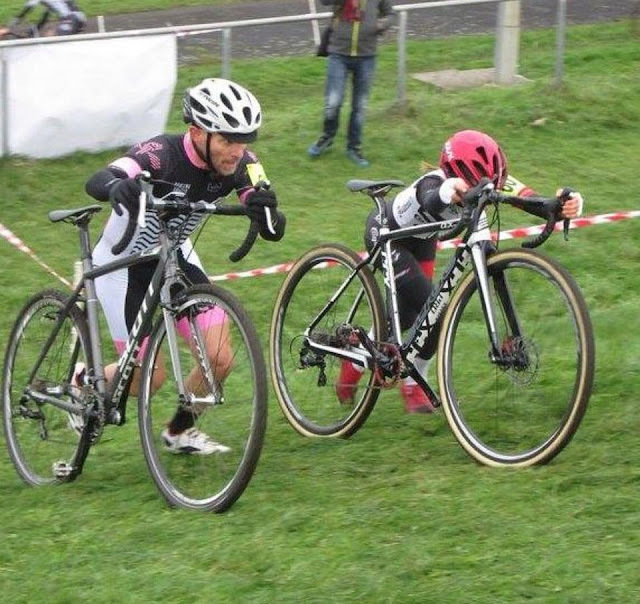 Both organisations offer competition that is friendly and family orientated and the lucky cyclo-cross riders of the north east have a massive choice of events to choose from. 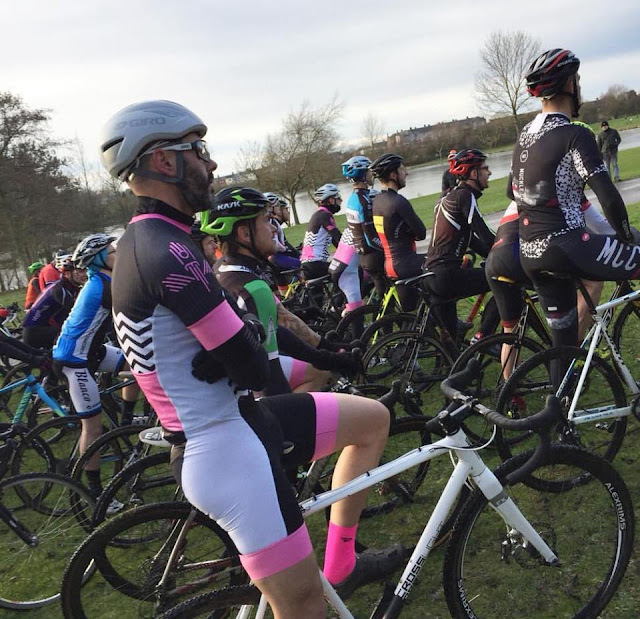 If they are prepared to double up on a weekend and race Saturday and Sunday between September and January a keen cyclocross rider in the region could potentially do a 25 race season without travelling much more that 60 miles from home. It doesn't have to be expensive either, the NECCL keep the cost of racing as low as possible with seniors racing for just £7.00 (if they are TLI members) under sixteens race for £3.00 and the under twelves pay just a £1 - great value. In their first season the guys have very quickly developed a really good team spirit. I was chatting to Philip Addyman from the team (third left - above) and he commented that "the atmosphere in the team is just right: not too serious and no pressure, yet everyone is quietly motivated to do their best." Above Philip Addyman battling it out with someone who definitely is a winner, north east cyclocross star and U23 GB International Anna Kay who will be racing on the road for Storey Racing in 2018. Here racing at the NECCL Saturday 2nd December event at Gypsies Green Stadium in South Shields. 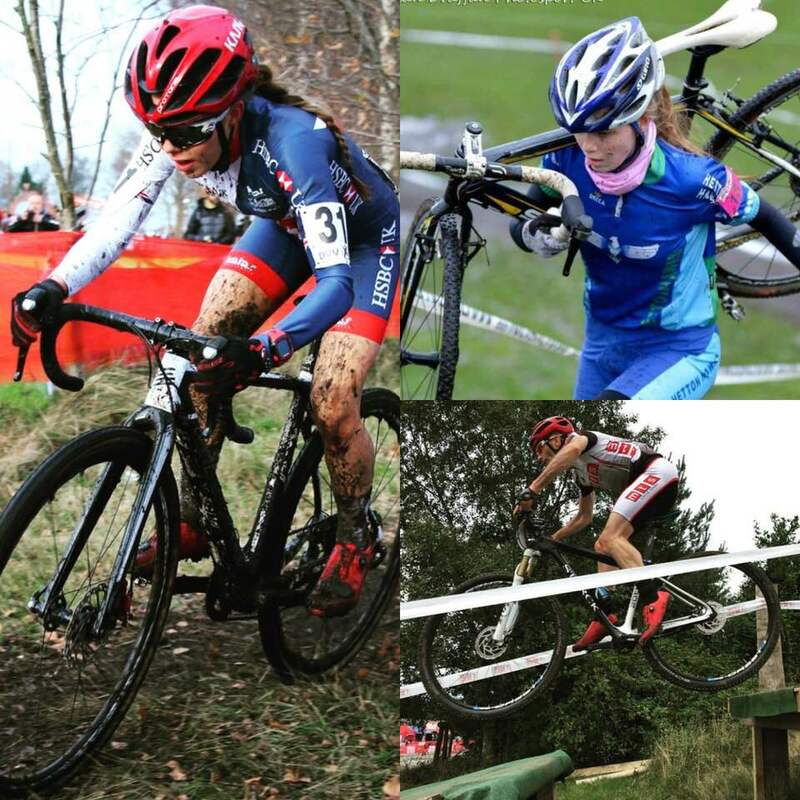 Another picture of Anna Kay left competing today at the Telenet UCI World Cup at Namur in Belgium Namur-UCI-CX and top right twin sister Megan (who by coincidence works at Pedalling Squares PSQ) racing cyclocross in the colours of Hetton Hawks. Confirming that cyclocross in the north east really is a family affair, bottom right we have dad Bill also a keen racer getting airborne on his MTB. 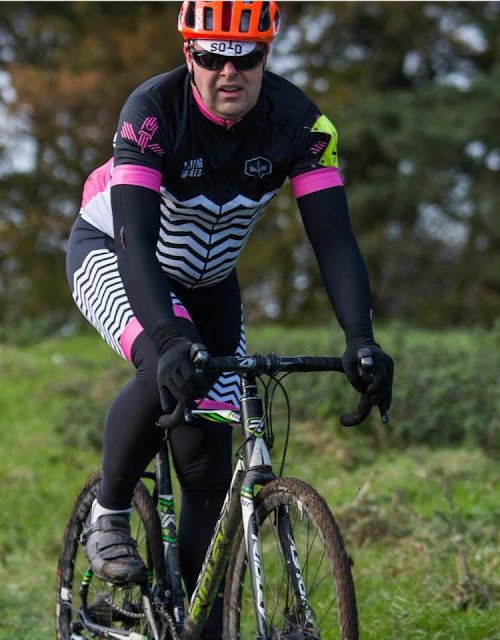 I also got the opportunity to talk to Stuart Whitman from the Pedalling Squares Team (above) and I asked him what it was about the team and the NE cyclocross scene that he enjoyed. "Cracking camaraderie! We don't take ourselves too seriously and go racing because we really enjoy riding round muddy fields for an hour in the freezing cold ! Don't get me wrong we race to win, but learning, failing and persevering makes us better people. We are also realistic and we support each other and have a laugh. The NE scene is great because of the family atmosphere at the races and the way that it encourages people to get in to racing, especially the youngsters. Having two strong leagues is obviously a key factor as we are spoiled for choice when it comes to different venues and we have really varied terrain to race on, from common land in the suburbs to farm land in the hills"
Team morale is clearly high in the Pedalling Squares squad no doubt helped by great backing by Eric from PSQ. At a recent, very cold race he brought along thermos flasks of coffee and flapjacks for the riders when they finished, nice touch. 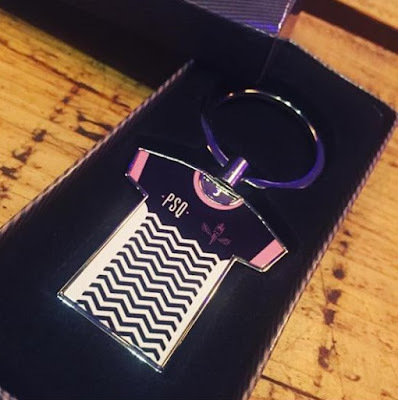 Rumour has it that this handsome Pedalling SquaresCC key ring in a gift box was recently awarded to one of the team for a 5th place finish ... its just a rumour though. The final round of the NECCL series was held yesterday at a very nippy Hetton Lyons Country Park. on a course that was still partially frozen. The team from Pedalling Squares were well represented with Eddie Halstead (above) on the grid toughing it out in shorts and looking very cool and calm before the start. A good day for the PSQ squad with Philip Addyman making it on to the third step of the podium - well done Phil, got to be worth a key ring surely? Just to prove I have actually done a bit of cyclocross myself, above pre-beard when I was racing for Adept Precision NEHS and clearly loving it? I have to come clean at this point though and admit that my cyclocross career only extended to two races. This picture was taken on my cyclocross debut at Preston Park in Stockton. I suffered like a dog for the whole thing and was lapped by everone in the field after somehow managing to bend my chain on the first lap. I thought, don't let it put you off, so I entered another one. The course for my second race included log obstacles, a really steep hill and even a massive muddy puddle that they expected us to ride through ! That was it for me - the cyclocross bike went on E bay and somebody got a cracking bargain ... apart from the bent chain of course. 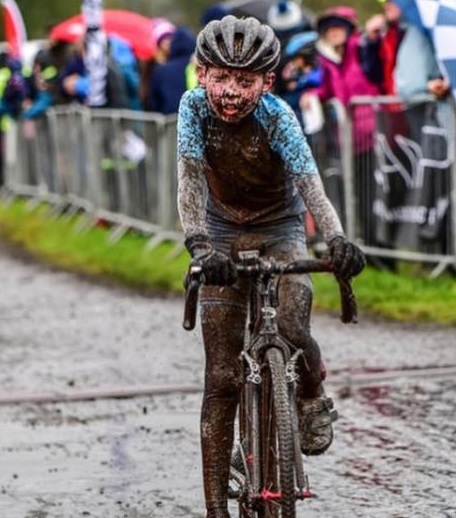 I couldn't write a blog post on the NE cyclocross scene without including a picture of this lad, one of the most popular riders in the region, my friend and team mate at Ribble Pro Cycling eleven year old Joel Hurt. Here is Joel winning a cross race and definitely looking like he has been riding through muddy puddles ... way tougher than me is this fella !